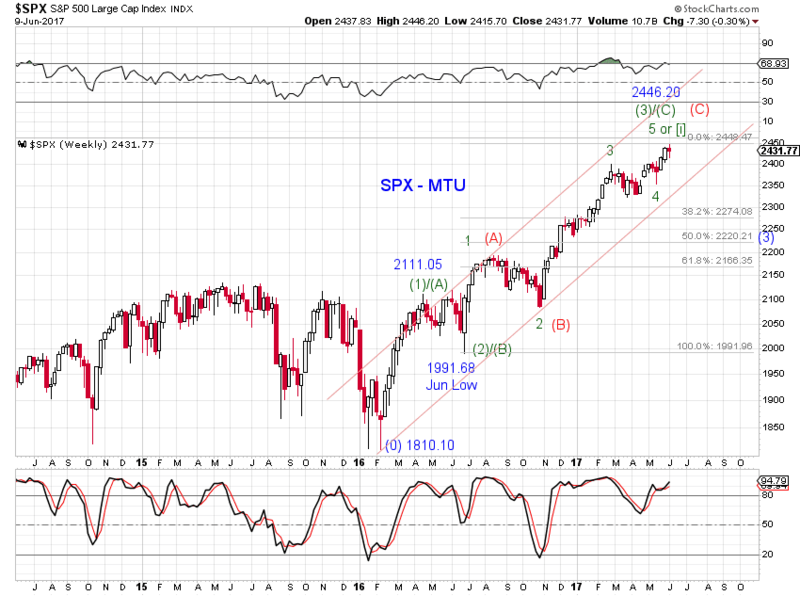 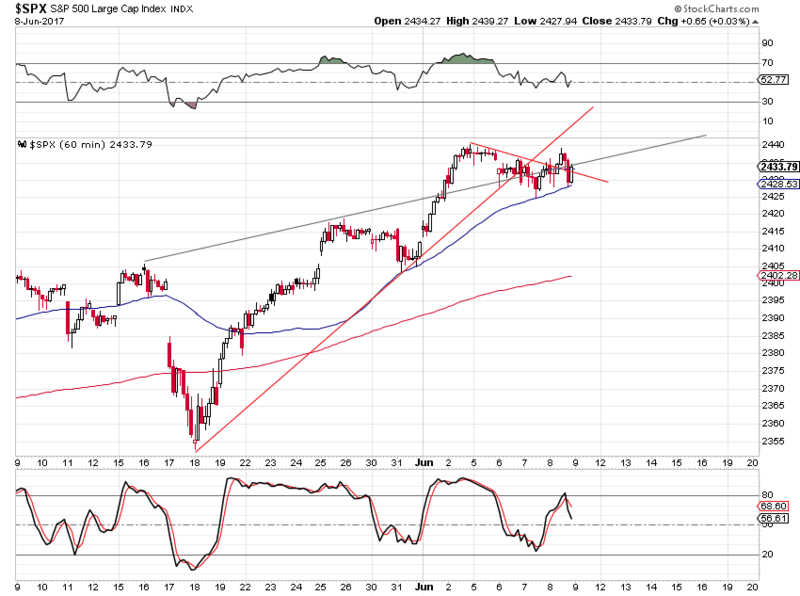 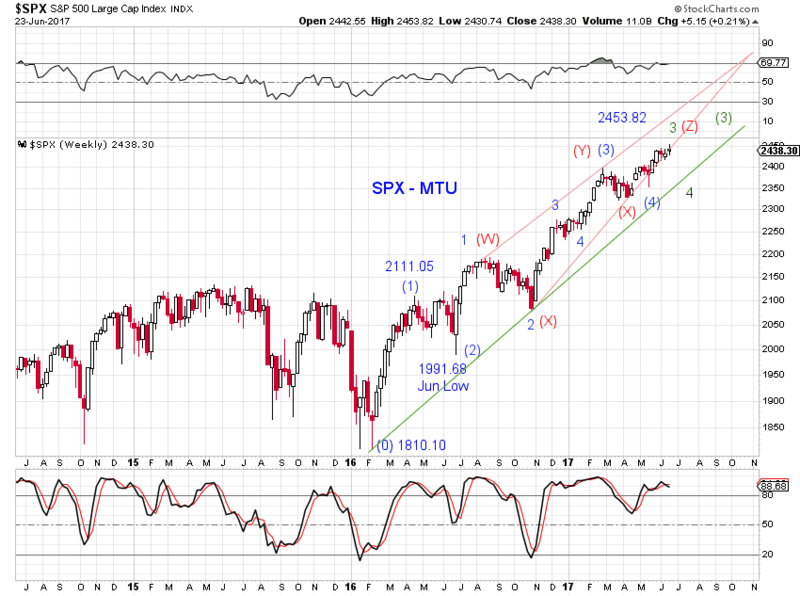 SPX tested its SMA50 today. 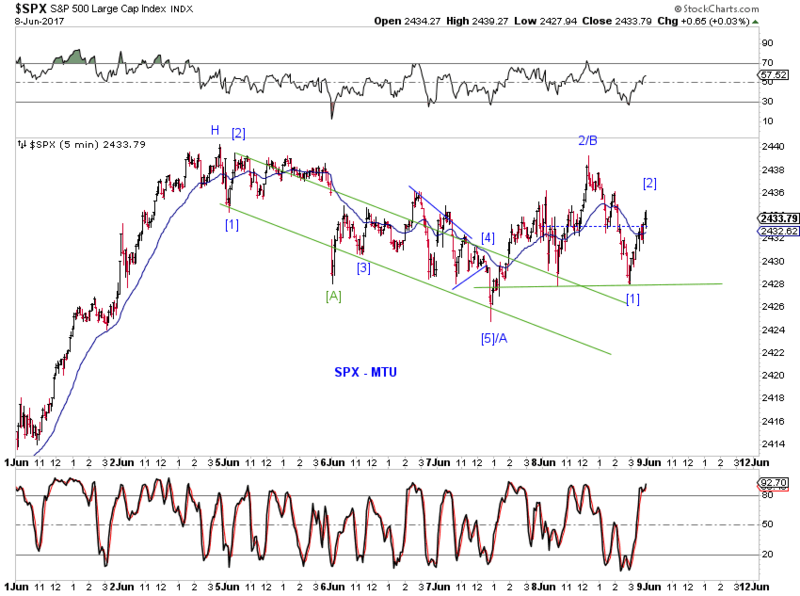 see yesterday's update for more. 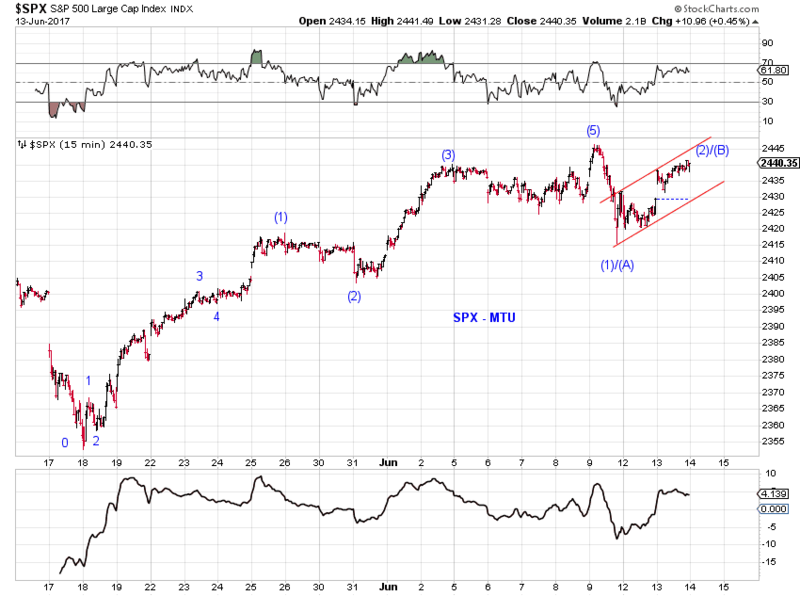 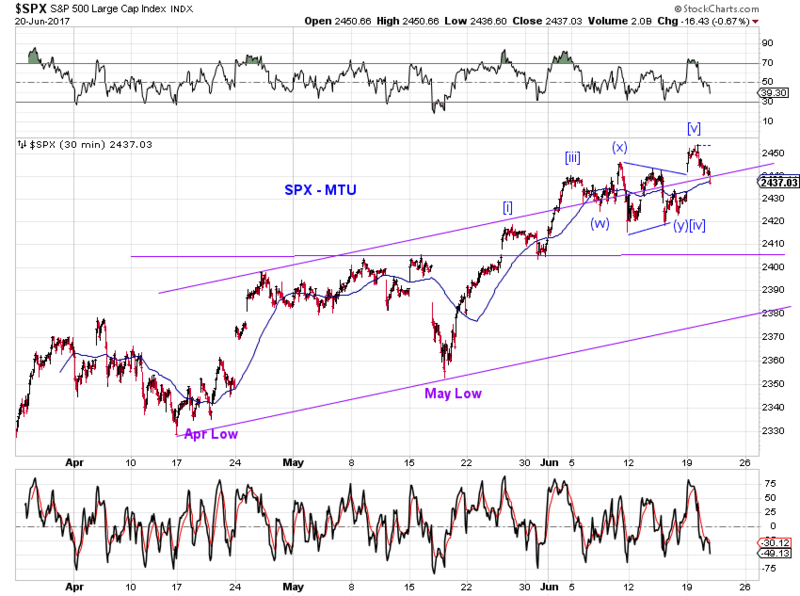 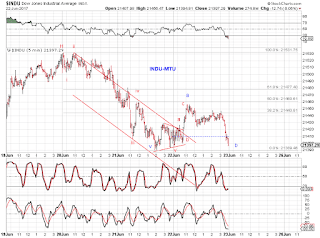 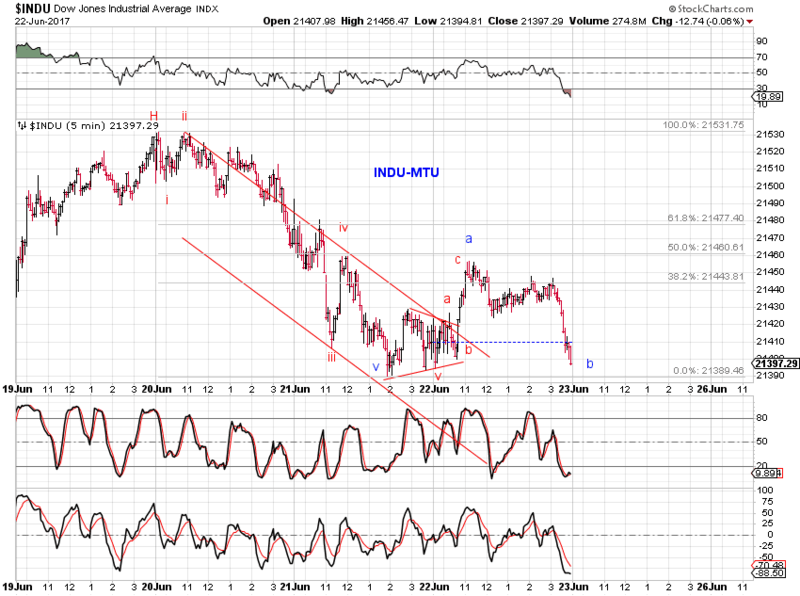 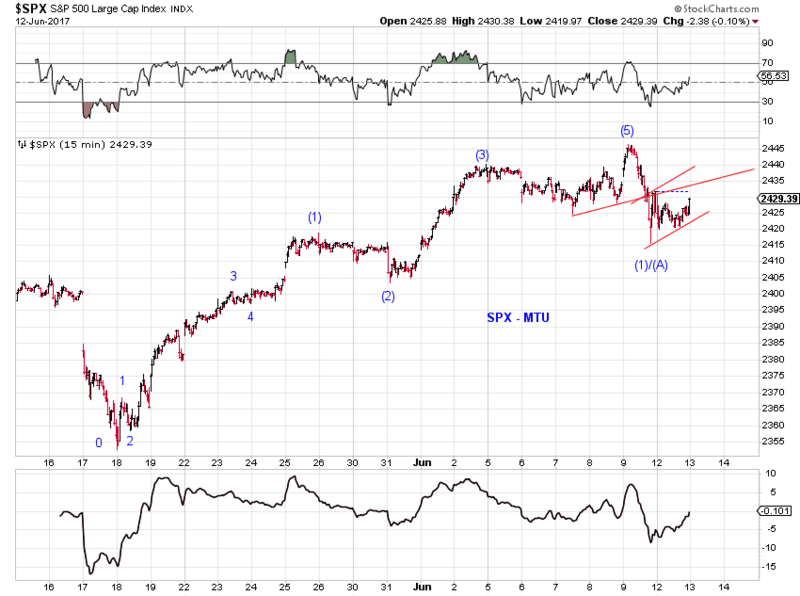 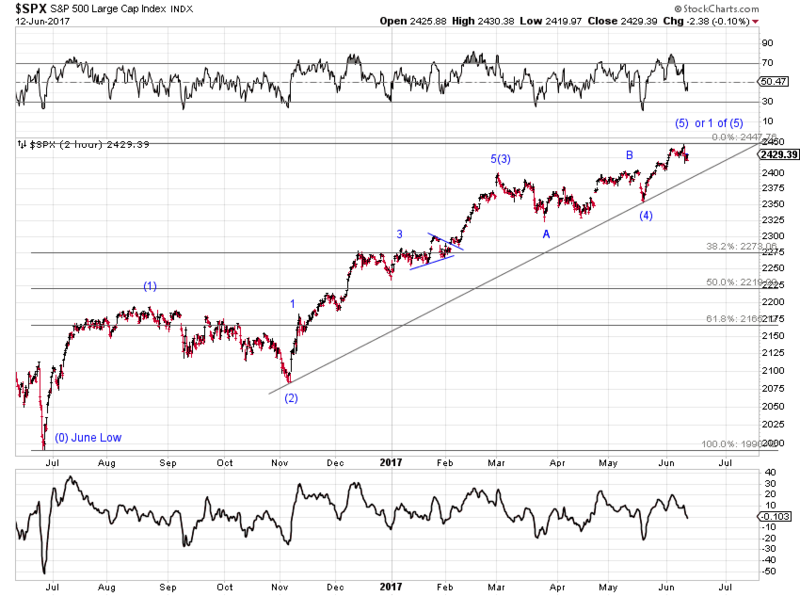 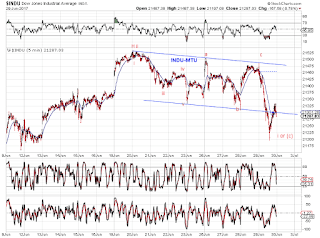 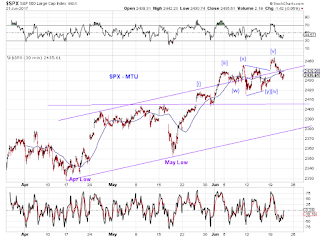 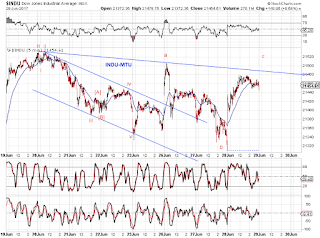 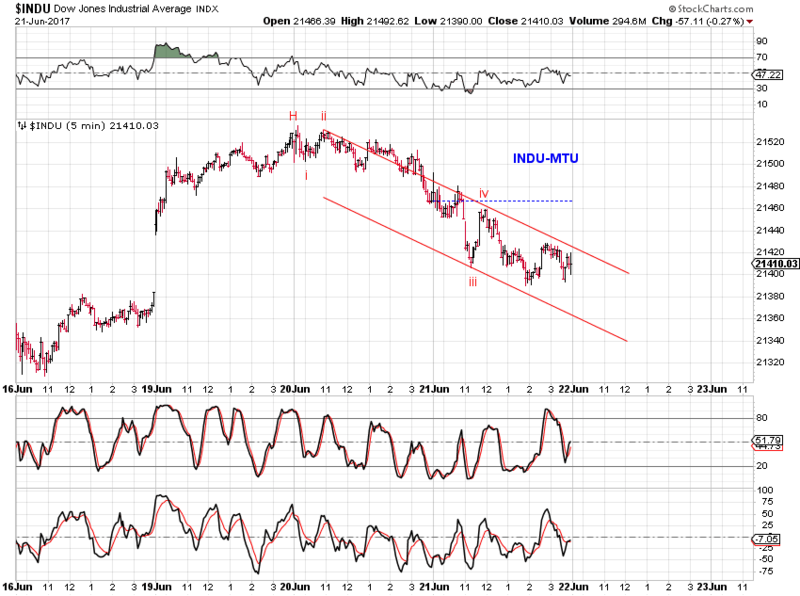 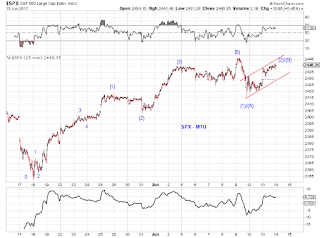 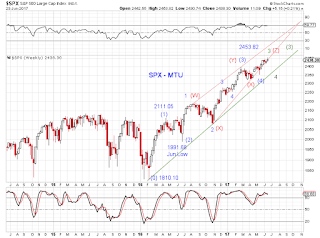 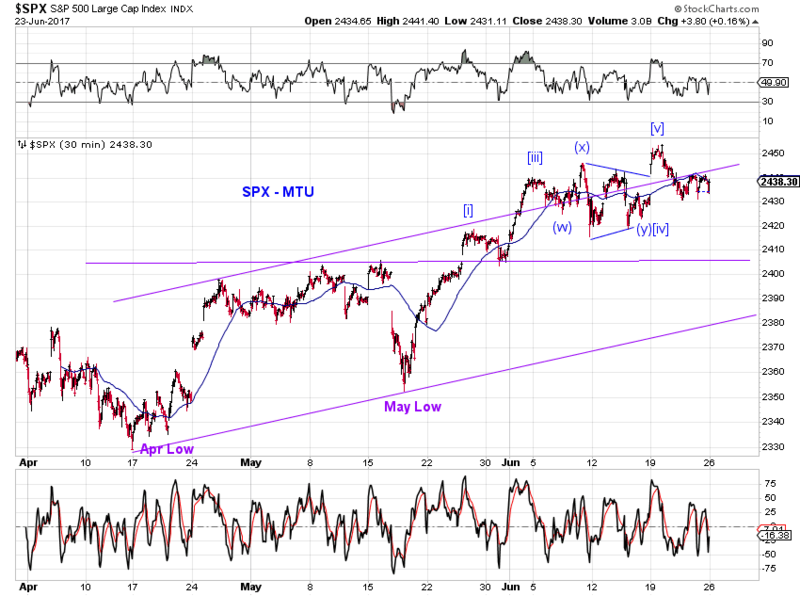 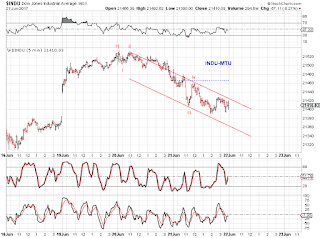 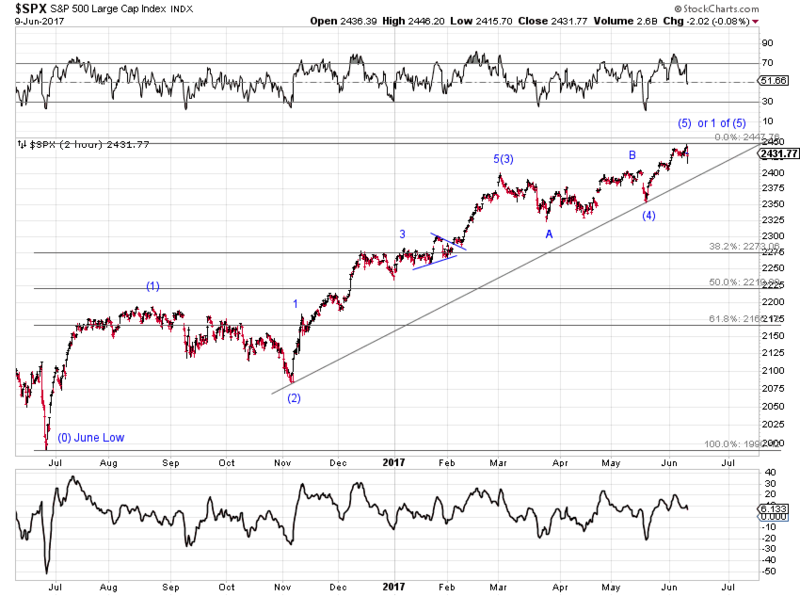 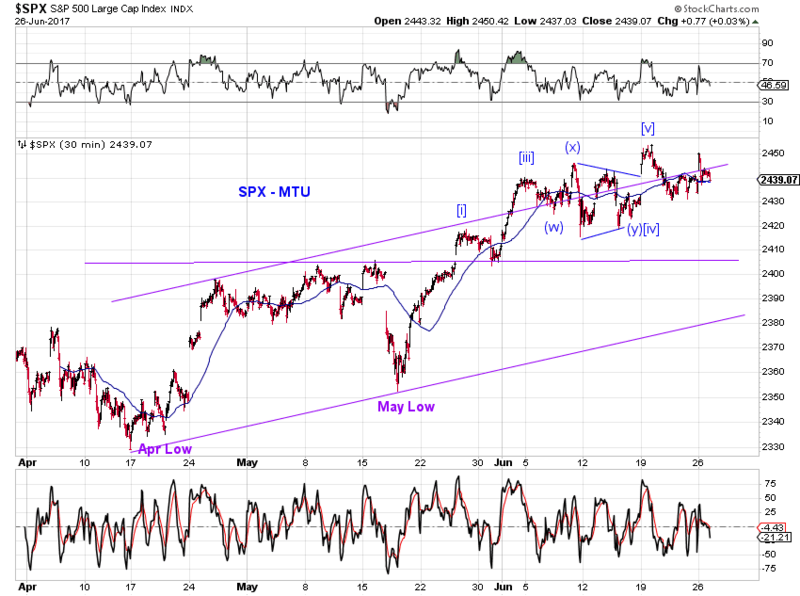 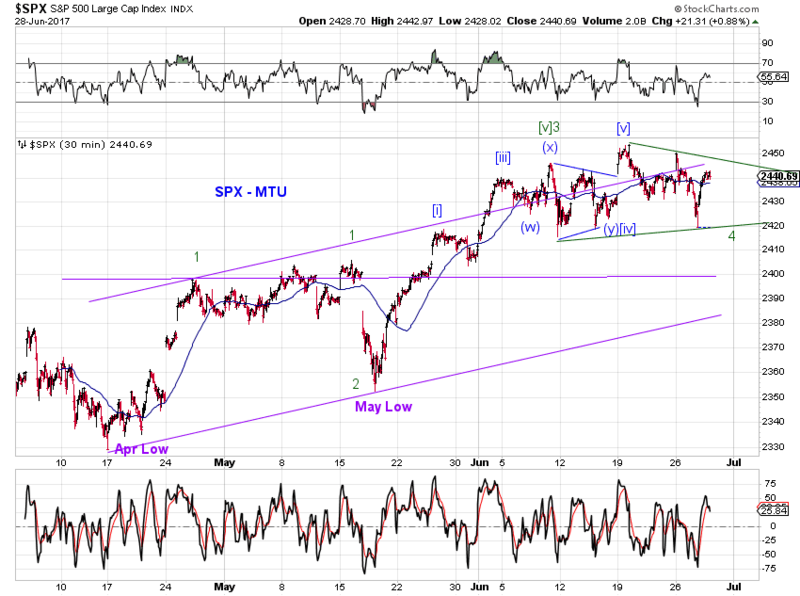 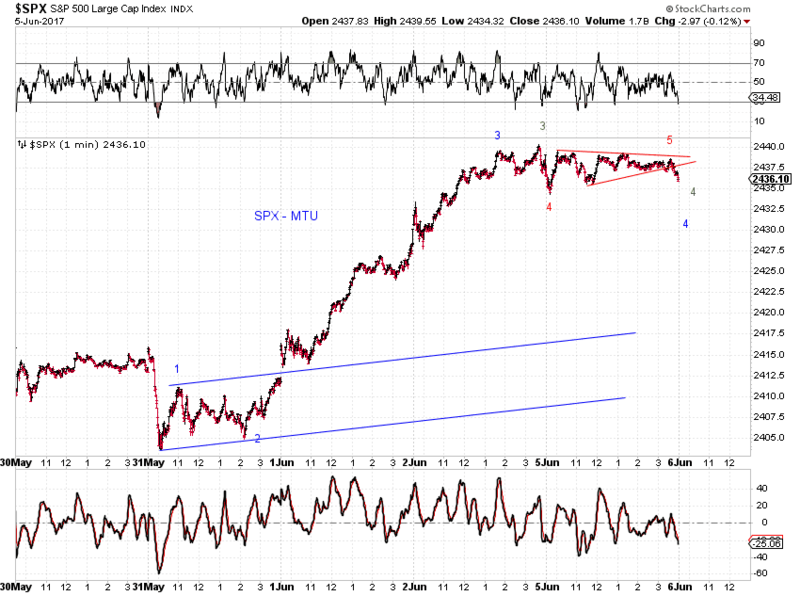 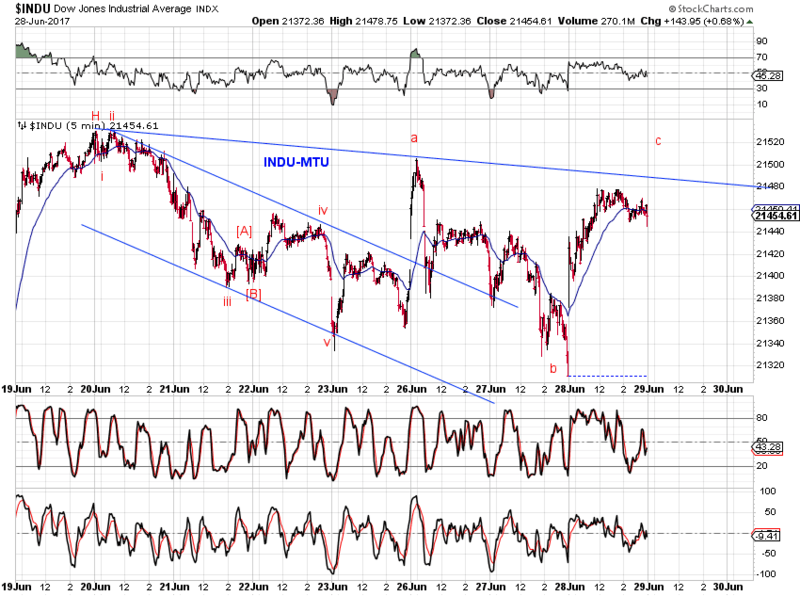 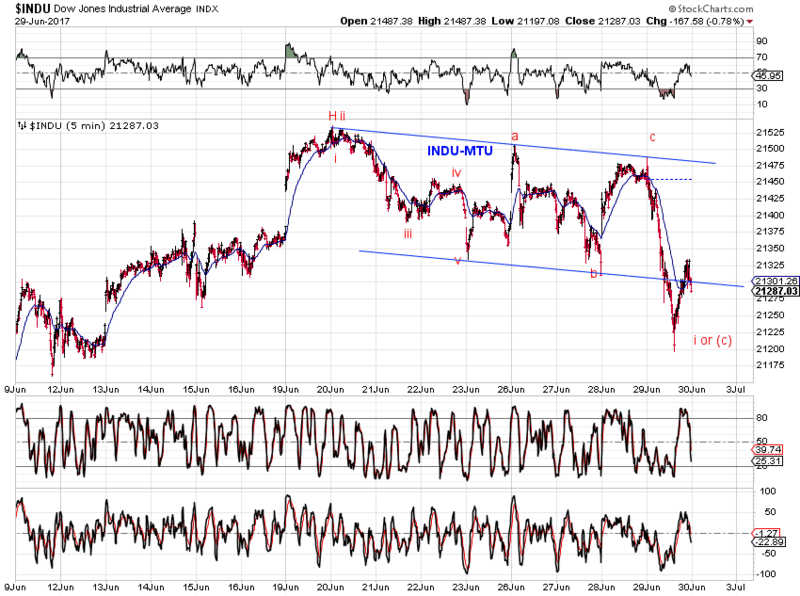 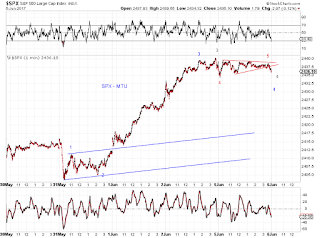 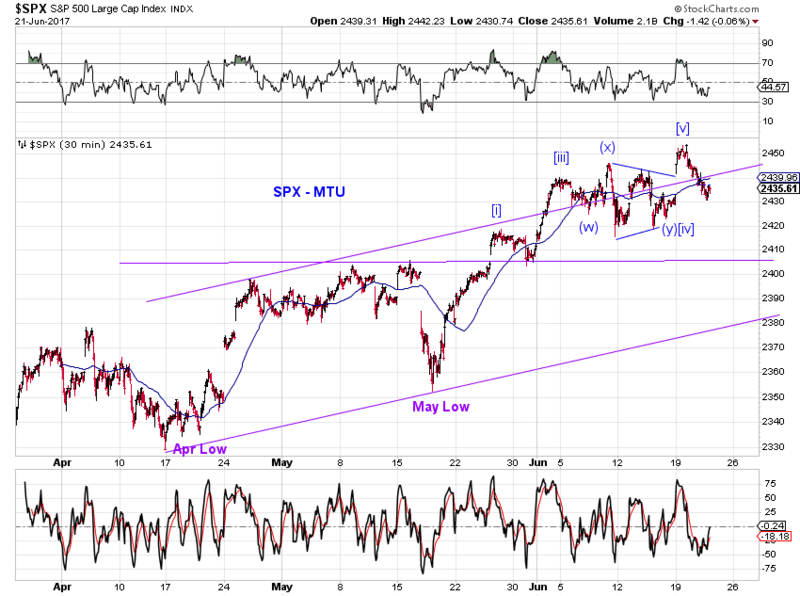 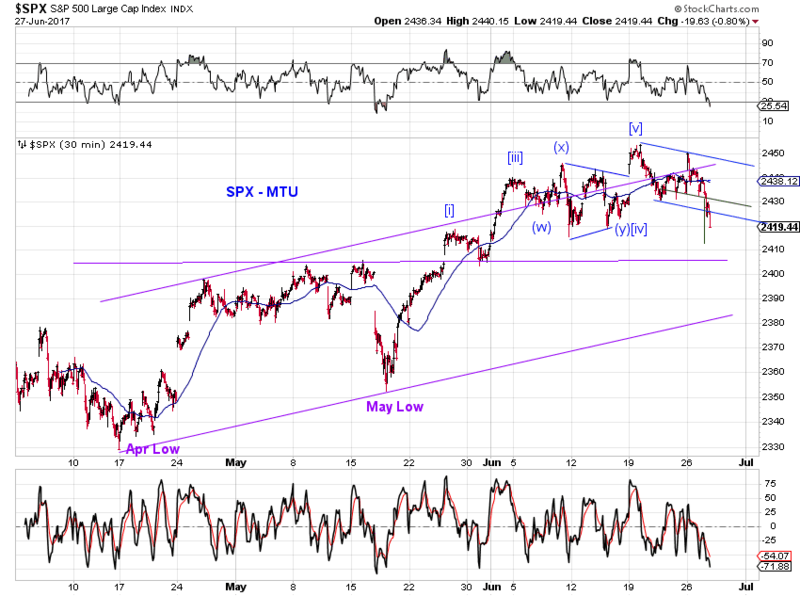 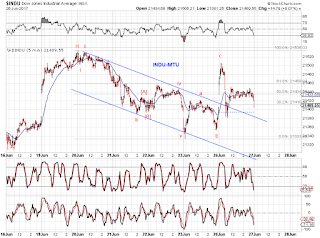 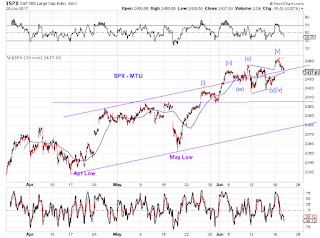 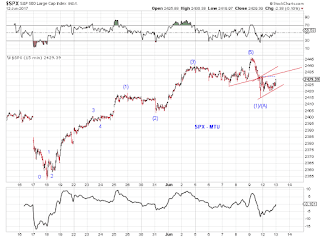 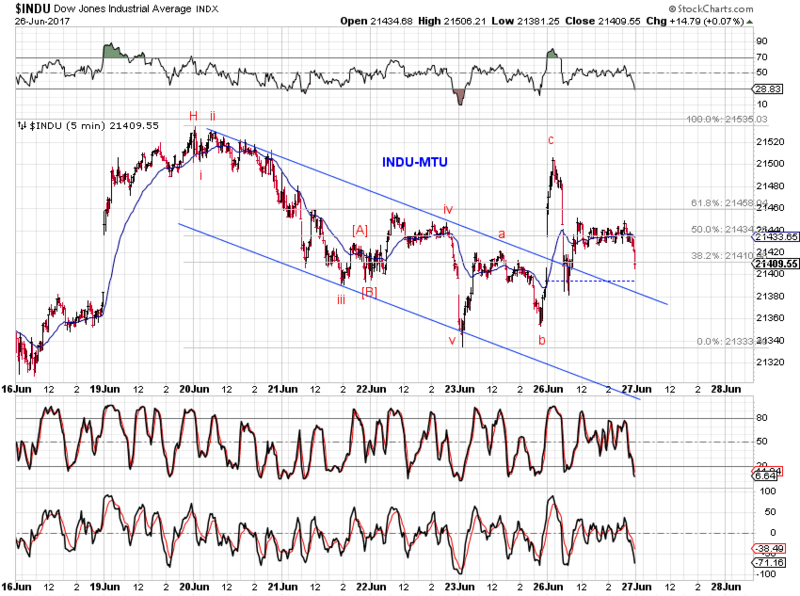 Potential impulse wave decline in the Dow, not confirmed by the SPX. Short term tracking - completed 123/abc from the Apr low, or completed impulse from the May low. 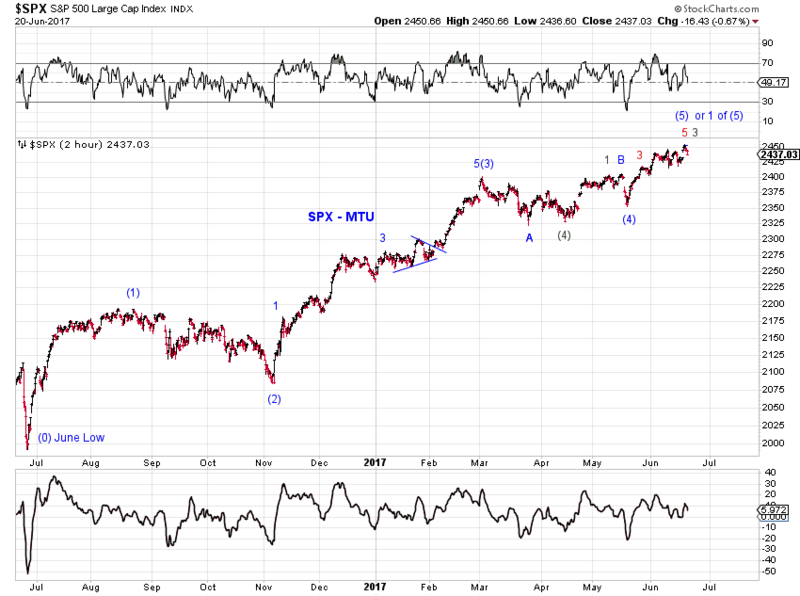 New highs in the Dow and the consolidation in SPX since its high suggest potential extension or a topping process still in progress. 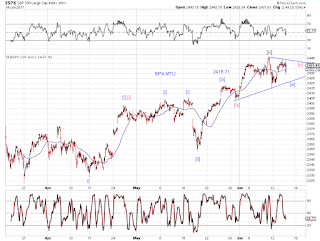 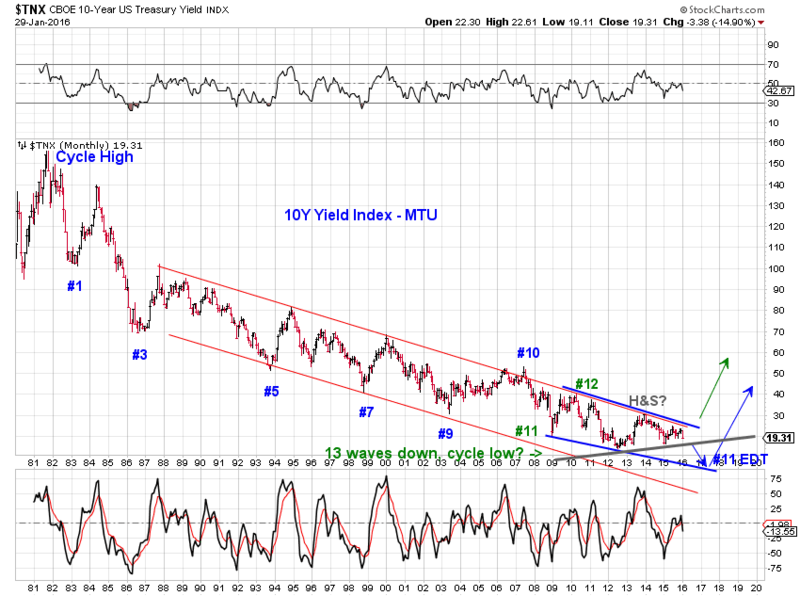 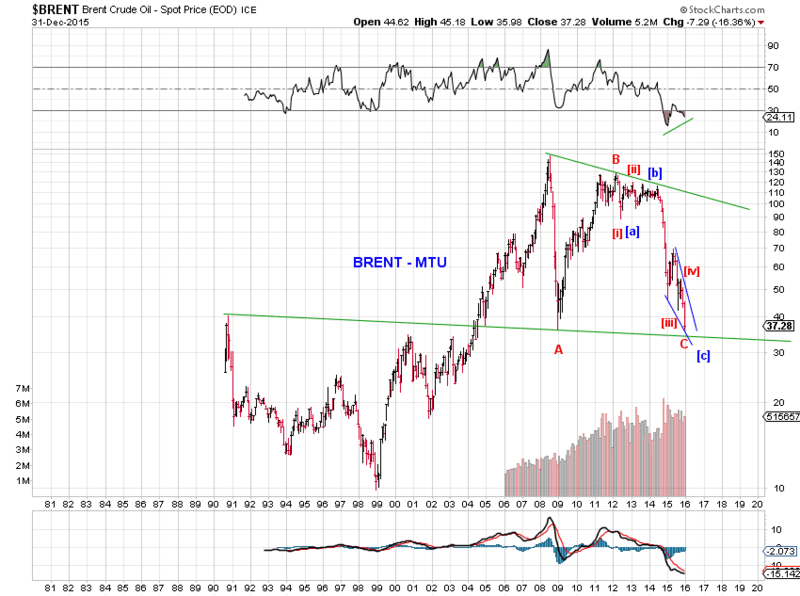 Potential extension - current consolidation is potentially the blue wave 2-down of wave (5)-up in Chart 1. 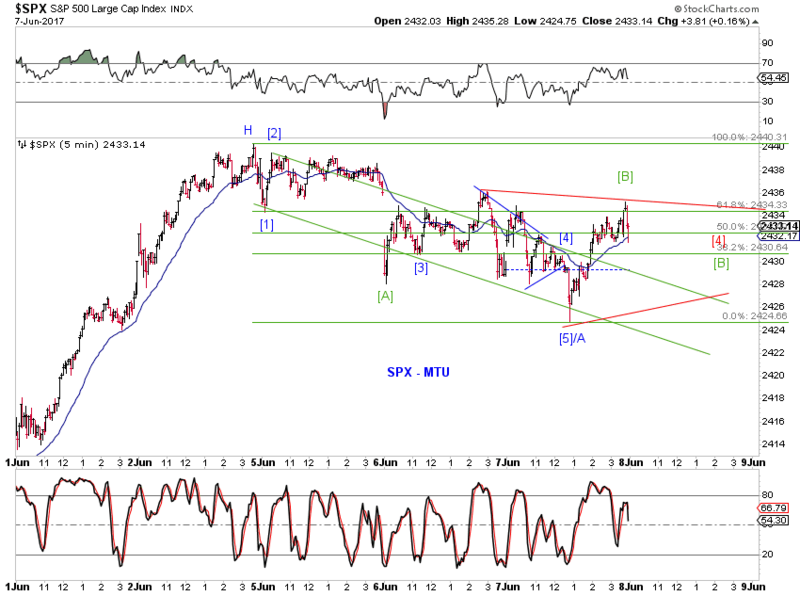 Topping process - Chart 2.
green (3) of a five-wave advance - Note that wave (3) is the extended wave, with nice alternation between its wave 2 and wave 4. 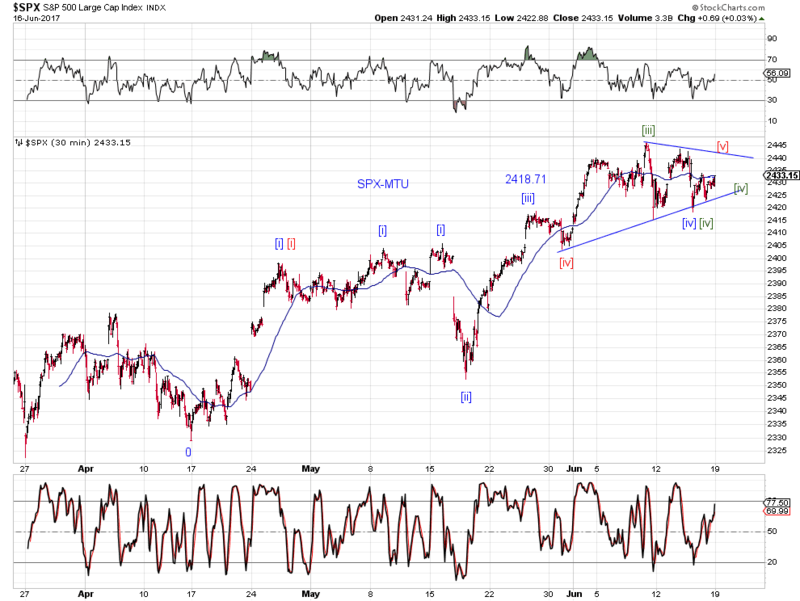 Furthermore, since wave (3) has extended, wave (5) is unlikely to do so. 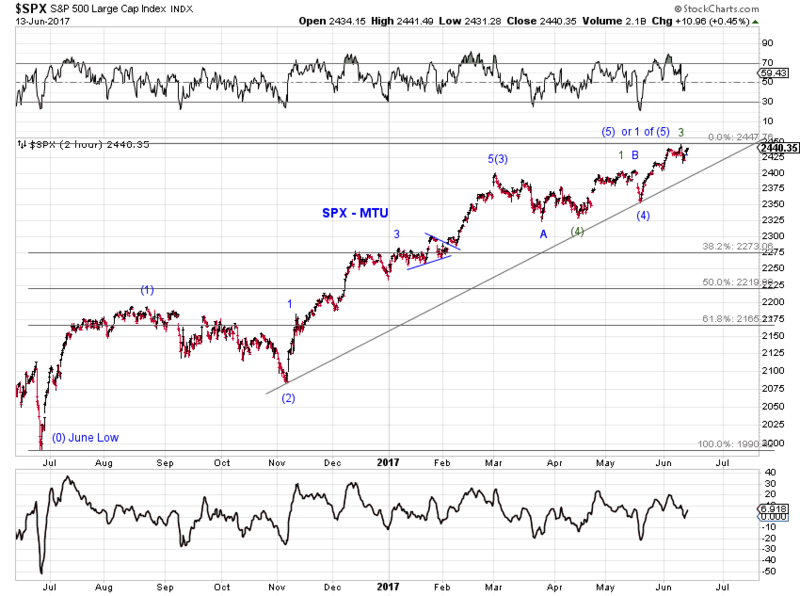 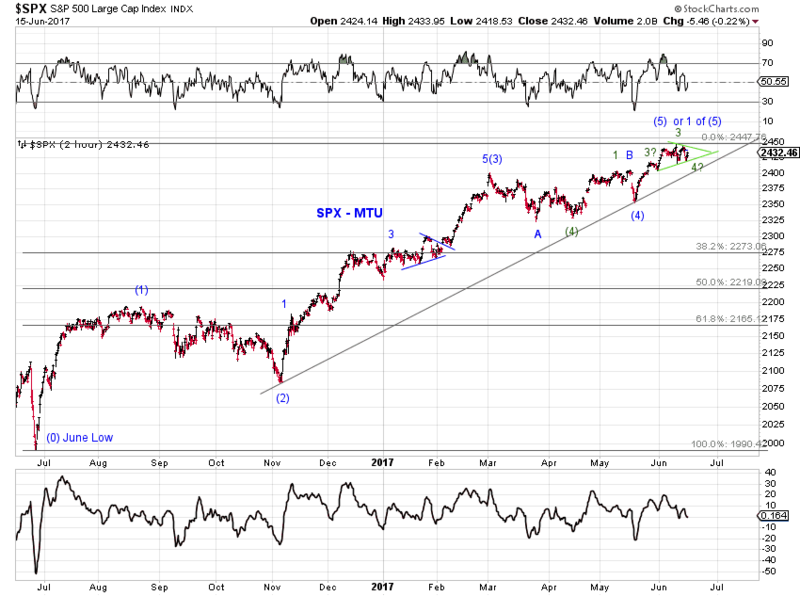 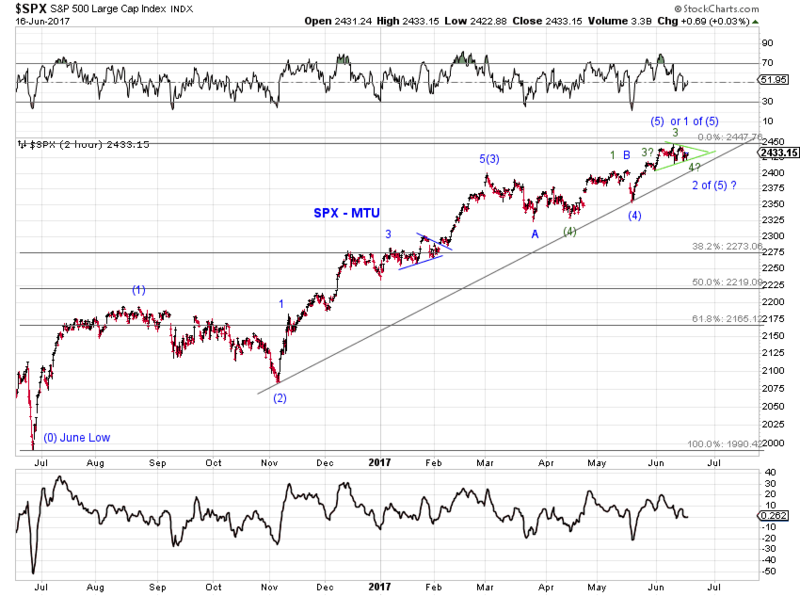 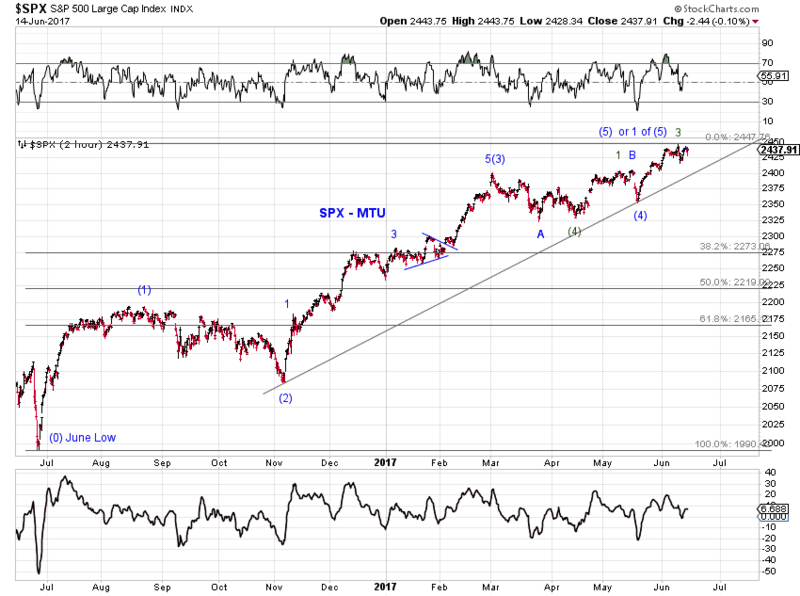 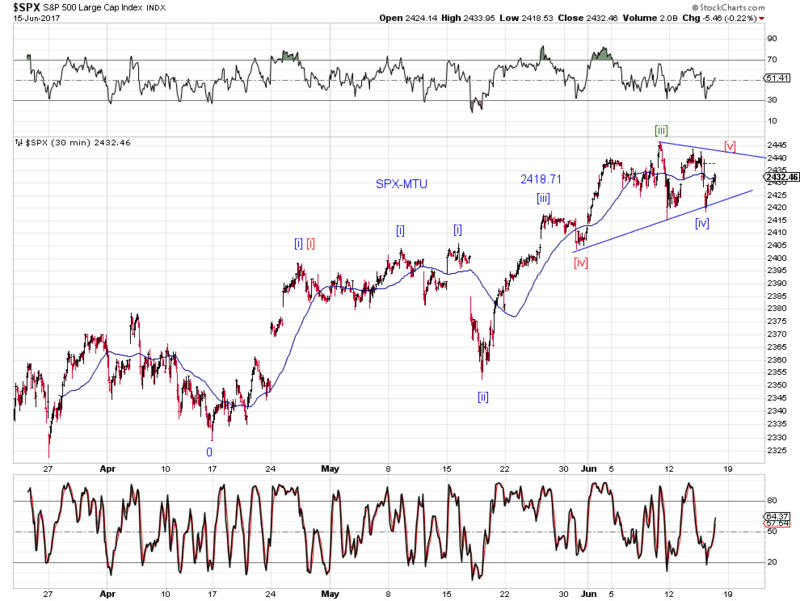 Under this impulse-wave count for the entire advance, Friday's high is unlikely to be only wave [i] of 5 of (3), given how much NDX has given up. 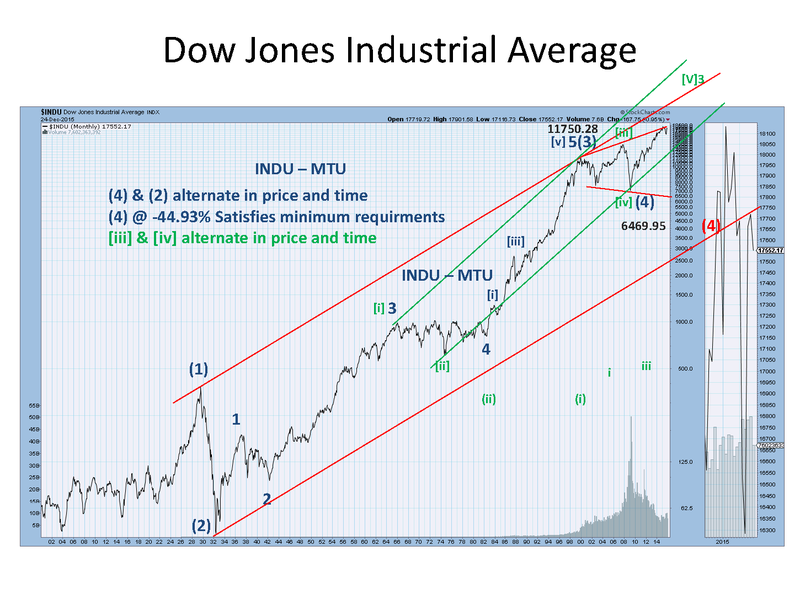 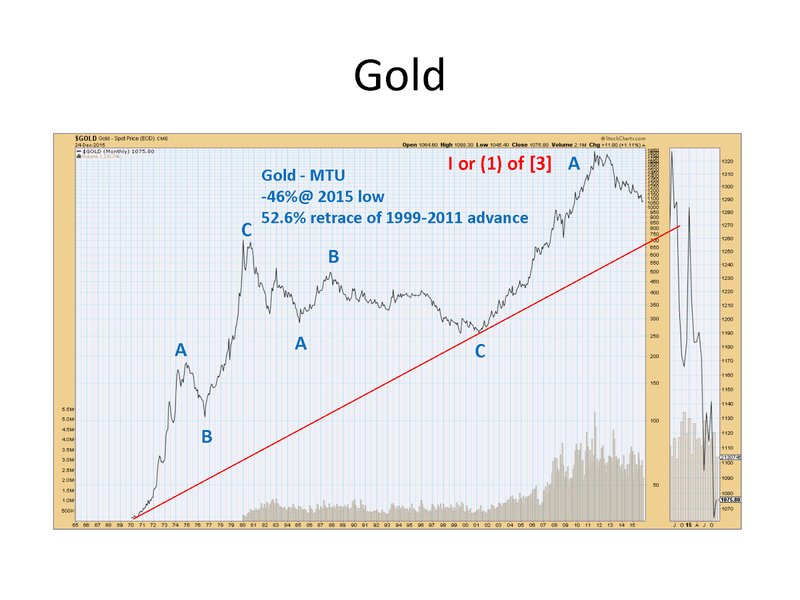 green (C) of a zigzag/flat - Wave (A) is much shorter than wave (C) in time and price, which is less ideal. 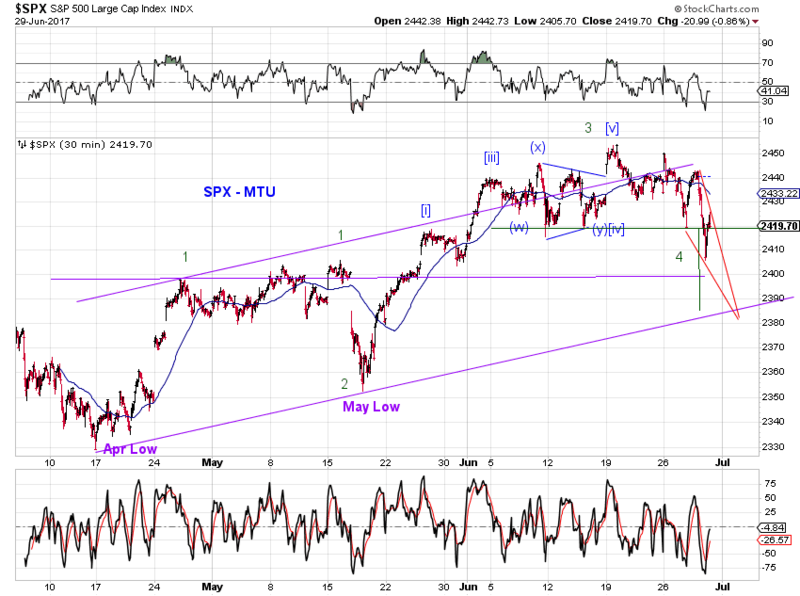 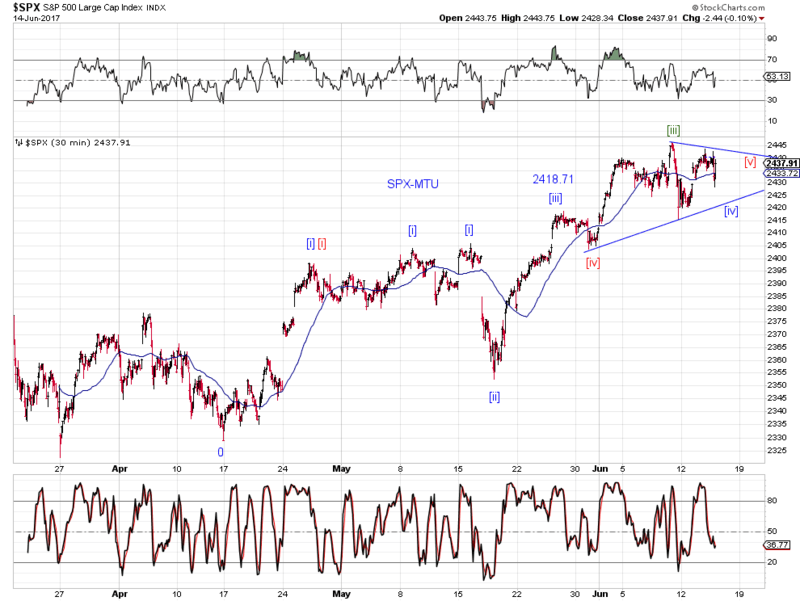 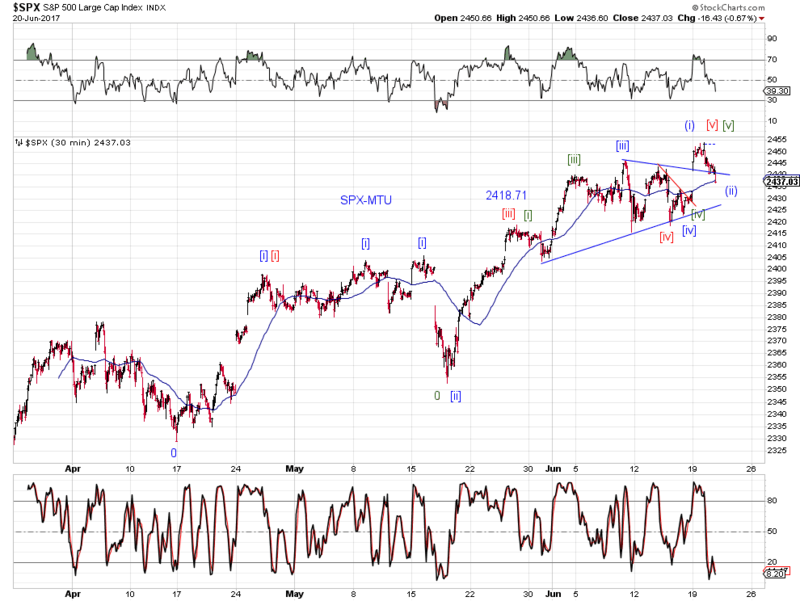 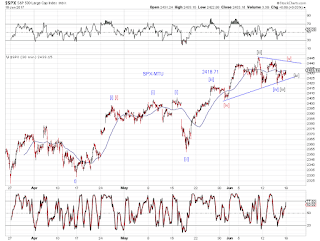 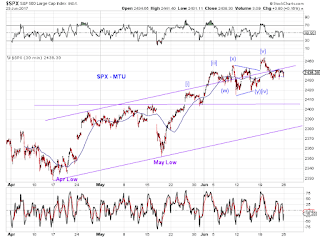 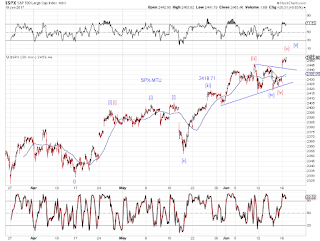 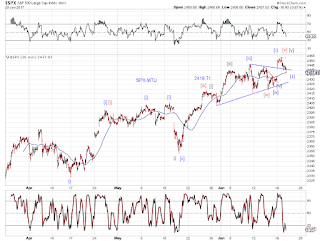 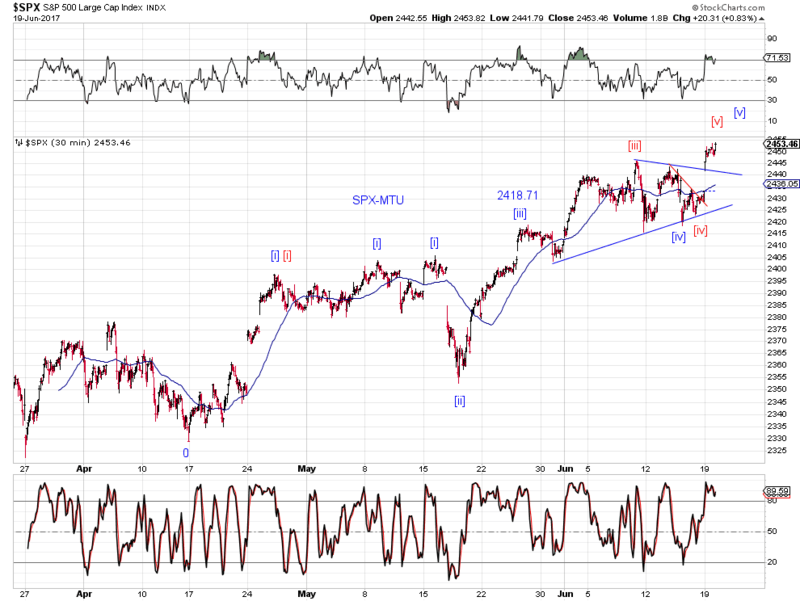 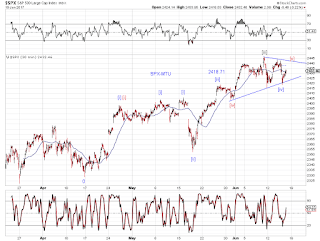 Under this impulse-wave count for wave (C), Friday's high is unlikely to be only wave [i] of 5 of (3), given how much NDX has given up. 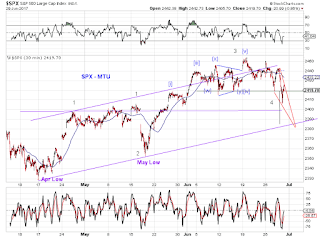 Chart 2 tracks the advance since the June 2016 low to offer additional details.